This tale began a year ago on The Alembicated Genie when a woman last met her anodyne, her pain-soothing friend, at 4am for their yearly meeting. A gift was presented and another stolen. She looked to her perfume bottle for advice. In fact she received the exactly the same advice from two perfume bottles standing next to each other. Yes, that was what she needed, an Interlude. She fled Manhattan leaving behind the real estate that was supposed to diminish her 50% tax rate. What once seemed like life had become corporate deadlines and acronyms. Where was the pace of life attuned to a different rhythm? The land-locked country of Laos seemed like a good hideaway, not that she needed to hide but she did want to disappear. Vientiane or Luang Prabrang? The mist shrouded hills of Sa Pa near Viet Nam? No, Sa Pa was in Viet Nam, easy. Plane, train, taxi, and here she was in a hut on the edge of a vast rice field with two suitcases filled with vials, bottles and a laptop. The hut had amenities; Wi-Fi and an outdoor bathroom. She was going to write herself into her future. First she would write all day and far into the night. Then all night and sleep all day. Phở bò and the local drip coffee for breakfast, rice and green vegetables for lunch, a noodle broth for dinner, all delivered by the family whose hut she had rented and whose padi fields she gazed upon when not looking at her computer screen. She was going to write as the rice was growing. Her goal was to review all 1,330 perfumes released in the last year. To do that she would have to post 3.64 reviews per day. Impossible, well yes, so she calmed herself down by sorting the samples and bottles into alphabetical order by perfume house then changed her mind and re-sorted them by perfumer. She would only review what she liked. She had words but none to waste. A month went by and while notes had been compiled not a post had been posted. Another re-sort, this time by perfume name and she was off; dabbing, spritzing, spraying and writing. The words flowed like a waterfall until she could write and post no more. Again, she turned to her perfume bottles and found the two that had sent her here in the first place. Gifts from her anodyne, or rather one of them was; the other was his but she had taken it anyway. Yes, it was time to meet him. She had told him Hong-Kong; that money-town was also the perfect place for a spreadsheet wizard like herself to re-engage her networks. 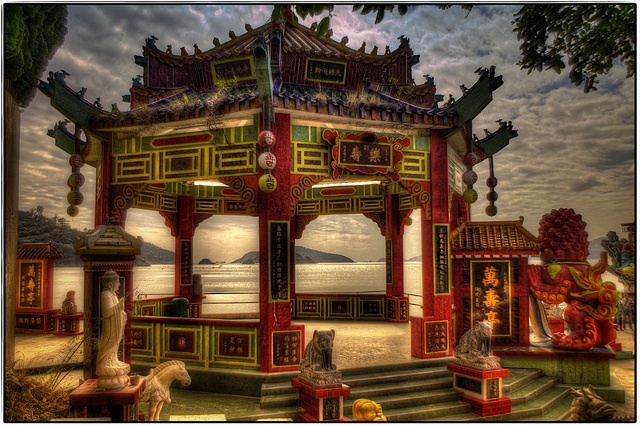 Repulse Bay it would be, after dusk was when would find him by the light of the bonfire she knew he would be burning. A meeting date was emailed, a plane ticket booked. It was June, a month earlier than when they usually met. The beach grew dark as she watched from her balcony. Manhattan Tower at 63 Repulse Bay Road had been a good investment for her at $US8,640 per square foot. Her 4 apartments here were usually long-leased to expats who liked to be 23 minutes away from downtown Kowloon. Since last year she had kept one free knowing that this meeting was coming up. No sign of fire on the beach yet. The sky was hazy and the sea air reminded her of calone, the aquatic molecule, but not enough to change her dislike of it. The breeze changed and brought seaweed; she had been amused at how this had been a perfume fad two years ago. An updraft brought a new scent, something soft, almost like a delicate perfume. A local flower, well it would be an oriental one wouldn’t it? Peering over the railing she tried to see the plants on the lower balconies. Ah, bonsai trees with what looked like yellow oranges. Lighting flashed and the air electrified with heat. She felt warm now. Time to walk the beach. She could see Tin Hau Temple from the beach. Tendrils of incense smoke caught up with her on the sand as the local folk prayed to the Goddess of the Sea. This scent reminded her of the origin of the word perfume, ‘through smoke’, when aromatic substances were reserved for carrying the prayers of the people to heaven. Another drift of incense came from the middle of the beach, this time the smoke carried the distinct smell of Omani Frankincense. He was here. She slowed as she approached the carefully contained bonfire. He was a shadow flickering with the flames. Suddenly his hands were highlighted by the flames as they released bundles of oak moss, patchouli leaves and vanilla pods into the fire. White petals, flecked with red ones whirled through the air. The smoke thickened and then dissipated leaving her clothes and hair wafting a soft suede-like scent. If only this moment could be bottled, what a beautiful perfume it would make. He laughed as he opened his arms to greet her. In his hand the firelight caught the glow of opals; it was a bottle containing a perfume of everything he had placed on the bonfire and only those scents that she had earlier enjoyed. He smelt of wood, spice and something dark and dangerous. But she felt no danger, she felt embraced by the arms of Fate. 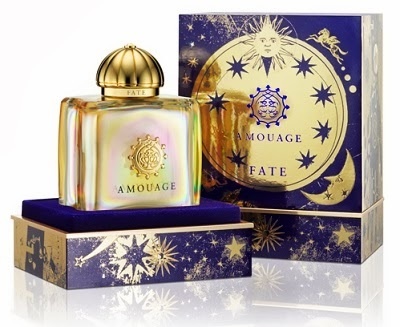 Fate Woman is an astoundingly beautiful, complex, refined fragrance — a sophisticated chypre-oriental which combines the best elements of both categories. Wow! 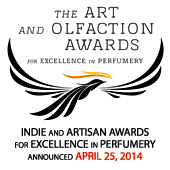 So beautifully written that I have nothing to add… Perfect for this amazing scent! Your words are sweet but I think you are wafting spice! I have read a few reviews of Fate Woman, and have yet to be compelled to try it. Your review is full of easily grasped images, and feelings, and sensations. I had no trouble being in the protagonist’s shoes, and also in her heart. Just beautiful. I am smiling as I write this, on my brief lunch break, transported to this beach, this fire, this couple, and this happiness. Thank you. Thank you for traveling with The Fragrant Man Tora. This was a smooth flight. See you on the beach. Fabulous! If this stuff smells half as good as your imagery makes it sound I will need a full bottle. Poodle, what about your man? A matched set, suede for you and spicy woods for him? Hours of sensual delight here for you. How about I just keep both bottles for myself?